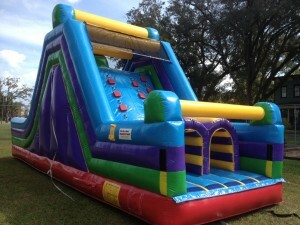 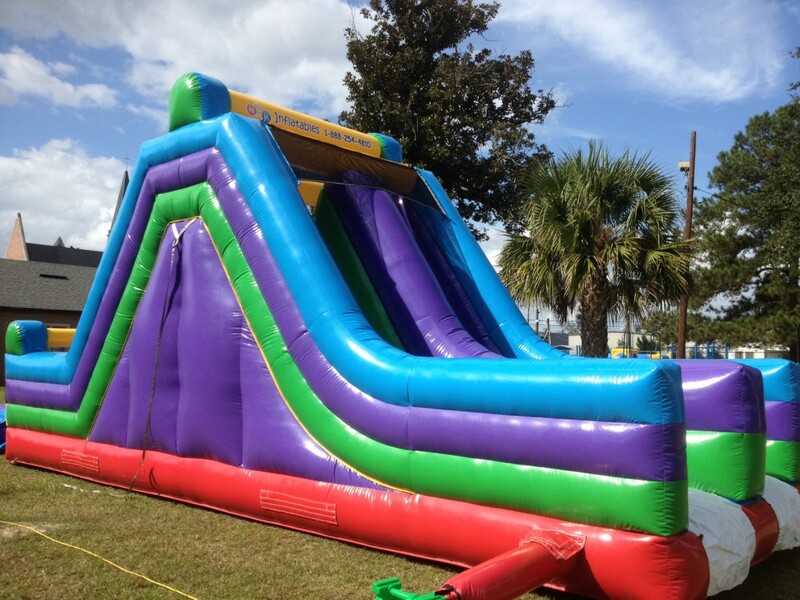 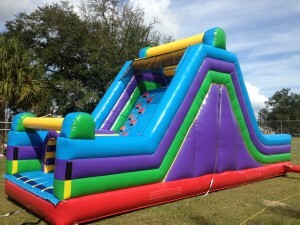 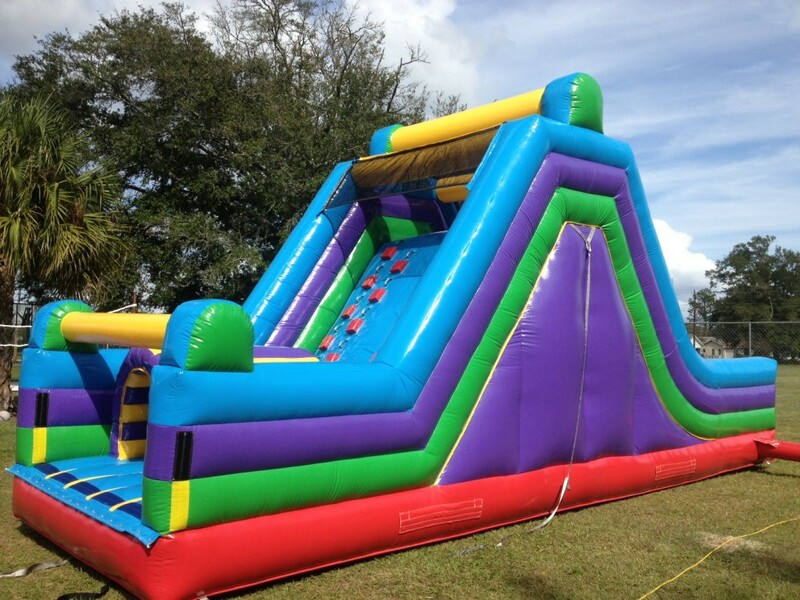 30 Ft Long, 16 ft high Rock Climb w/Dual Lane Slide that is great for Schools, Churches, Fall Festivals and the Ultimate Kids Party! 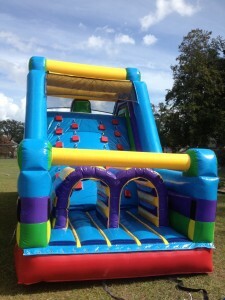 This Rock Climb w/Dual Lane Slide can be yours by the day or weekend at $225. And if thats not enough for you, then add the AWESOME 40 ft Obstacle or the 30 ft obstacle to the beginning of the slide and have a awesome 60 – 70 ft obstacle course.